Meditation is the practice of focusing the mind, often formalized into a specific routine. Meditation is usually recognized as a component of Eastern religions, originating in Vedic Hinduism, but it also developed independently in Sufism. Meditation can also be used for personal development in a non-religious context, such as the exercises of Hatha yoga. The English word meditation comes from the Latin meditatio, which originally indicated every type of physical or intellectual exercise, then later evolved into the more specific meaning «contemplation.» This usage is found in Christian spirituality, for example, «meditations on the sufferings of Christ»; as well as Western philosophy, as in Descartes’ Meditations on First Philosophy, a set of six mental exercises which systematically analyze the nature of reality. However, «meditation» in its modern sense also refers to a separate practice unrelated to Christian meditations. In the late nineteenth century, Theosophists adopted the word «meditation» to refer to various spiritual practices drawn from Hinduism, Buddhism, and other Eastern religions. Thus the English word «meditation» does not exclusively translate any single term or concept, and can be used to translate words such as the Sanskrit dhyana, samadhi, or pranayama. Its ritual and contemplative qualities are similar to prayer in Western religions, but prayer emphasizes communication with a higher being, whereas meditation focuses on developing oneself. From the point of view of psychology, meditation can induce an altered state of consciousness. However, many religious people would challenge the assumption that such mental states (or any other visible result) are the «goal» of meditation. The goals of meditation are varied, and range from spiritual enlightenment, to the transformation of attitudes, to better cardiovascular health. It is easy to observe that our minds are continually thinking about the past (memories) and the future (expectations). With intention, it is possible to slow down the mind. We are able to observe a mental silence, also called experience of the present moment. This is a subjective sense of being connected with the universality of being. Meditation is the method one may follow to verify this experience. It is an experiential means of separating thoughts from the part of our consciousness which perceives the thoughts, the observer. By disengaging our mind, we are able to observe the more subtle details and gain better control over what we give attention to. The experience of thoughts winding down and stopping is also known as timeless awareness. According to Perez-De-Albeniz & Holmes (2000), the different techniques of meditation can be classified according to their focus. Some focus on the field or background perception and experience, also called mindfulness; others focus on a preselected specific object, and are called «‘concentrative’ meditation.» There are also techniques that shift between the field and the object. Categorizing the varieties of meditation is difficult. One common way is according to religion or lineage. But some meditative traditions, such as yoga or tantra, are common to several religions or occur outside religious contexts. Therefore, to avoid controversy, this article will not attempt to classify all meditations into a religious class or lineage. Meditation has always enjoyed a central place within Buddhism. The Buddha himself was said to have achieved enlightenment while meditating under a Bodhi tree. Most forms of Buddhism distinguish between samatha and vipassana meditation, both of which are necessary for enlightenment. The former consists of learning to focus the attention single-pointedly; the latter involves seeing the true nature of reality. Theravada Buddhism emphasizes vipassana meditation directed towards anapana, mettā bhāvanā, or 38 other traditional topics (see: Kammatthana). In Japanese Mahayana schools, Tendai (Tien-tai), concentration is cultivated through highly structured ritual. Especially in the Chinese Chan Buddhism school (which branched out into the Japanese Zen, and Korean Seon schools), ts’o ch’an meditation and kung an meditation practices are extremely important and considered a necessity for enlightenment (each of the names of these schools derives from the sanskrit dhyana, and translates into «meditation» in their respective languages). The esoteric Shingon sect shares many features with Tibetan Buddhism. Tibetan Buddhism emphasizes tantra for its senior practitioners; hence its alternate name of Vajrayana Buddhism. However, visitors to Tibetan monasteries are often surprised to discover that many monks go through their day without «meditating» in a recognizable form, but are more likely to chant or participate in group liturgy. Christian traditions have various practices which might be identified as forms of «meditation.» Many of these are monastic practices. Some types of Christian prayer, such as the rosary in Catholicism or the hesychasm in Eastern Orthodoxy, may be compared to the form of Eastern meditation that focuses on an individual object, but these comparisons often overlook the importance of prayer in these rituals. The explicit concept of meditation, or in-depth contemplation (Hebrew hitbonenut) can be found in Kabbalah and Hassidic Judaism. There are several types of meditation in Hinduism. Vedanta is a form of Jnana Yoga. Raja Yoga, as outlined by Patanjali, describes eight «limbs» of spiritual practices, half of which might be classified as meditation. Underlying them is the assumption that a yogi should still the fluctuations of his or her mind: Yoga cittavrrti nirodha. Osho taught a wide variety of meditative techniques, including a «laughing meditation». Within Islam, «meditation» refers to the Sufi practice of muraqaba. Similar forms of meditative ritual in Sufism include dhikr (recitation of the divine names), sema, whirling, and devotional music such as Qawwali. In Sikhism, the practices of simran and Nām Japō encourage quiet meditation. Taoism includes a number of meditative and contemplative traditions. Originally said to have their principles described in the I Ching, Tao Te Ching, Chuang Tzu and Tao Tsang among other texts; the multitude of schools relating to Qigong, Neigong, Daoyin and Zhan zhuang are a large, diverse array of breath training practises in aid of meditation with much influence from later Chinese Buddhism and with much influence on traditional Chinese medicine and the Chinese as well as some Japanese martial arts. The Chinese martial art T’ai Chi Ch’uan is named after the well-known focus for Taoist and Neo-Confucian meditation, the T’ai Chi T’u, and is often referred to as “meditation in motion”. Transcendental Meditation is a modern form of meditation invented by Maharishi Mahesh Yogi, an Indian spiritual teacher. It is grounded in Vedantic Hinduism, but also has its own innovations. Transcendental Meditation is based on a mantra, which is given to the practitioner by the teacher. Most traditions address the integration of mind, body, and spirit (this is a major theme of the Bhagavad-Gita); or that of spiritual practice with family life, work, and so on. Often, meditation is said to be incomplete if it doesn’t lead to positive changes in one’s daily life and attitudes. In that spirit some Zen practitioners have promoted «Zen driving,» aimed at reducing road rage. Meditation is often presented not as a «free-standing» activity, but as one part of a wider spiritual tradition. Nevertheless, many meditators today do not follow an organized religion, or do not consider themselves to do so faithfully. Religious authorities typically insist that spiritual practices such as meditation belong in the context of a well-rounded religious life that may include ritual or liturgy, scriptural study, and the observance of religious laws or regulations. Perhaps the most widely-cited spiritual prerequisite for meditation is an ethical lifestyle. Many martial arts teachers urge their students to respect parents and teachers, and inculcate other positive values. Some traditions incorporate «crazy wisdom» or intentionally transgressive acts, in their sacred lore if not in actual practice. Sufi poets (e.g. Rumi, Hafiz) celebrate the virtues of wine, which is forbidden in Islam (though one could argue that the poets are speaking metaphorically); some tantrikas indulge in the «five forbidden things that begin with the letter M.» complex areas, resulting in lowered inhibitions, decreased attention span, and increased influence of emotions over behaviour. Likewise, the controversial drug ritalin has the opposite effect, because it stimulates activity in the prefrontal cortex. Some studies of meditation have linked the practice to increased activity in the left prefrontal cortex, which is associated with concentration, planning, meta-cognition (thinking about thinking), and positive affect (good feelings). There are similar studies linking depression and anxiety with decreased activity in the same region, and/or with dominant activity in the right prefrontal cortex. Meditation increases activity in the left prefrontal cortex, and the changes are stable over time — even if you stop meditating for a while, the effect lingers. Electroencephalographs (EEG) recordings of skilled meditators showed gamma wave activity that gradually expanded across the brain during meditation. Gamma waves indicate synchrony between sections of the brain. These meditators had 10 to 40 years of training in Buddhist-based mental training. EEGs done on meditators who had received recent training turned up considerably less synchrony. The experienced meditators also showed increased gamma activity while at rest and not meditating. The results of the study do not make clear whether meditation training creates this activity or if individuals with high gamma activity are attracted to meditation. (Antoine Lutz & Richard J. Davidson, 2004). Meditation also affects brain wave production as measured by an EEG machine. While the brain at a waking state is primarily in the Beta range of frequencies (14 — 21 cycles per second), while under meditation the brain tends to slow down the Alpha range (7 — 14 cycles per second). One of the first Americans to study the effects of meditation on brainwave production was José Silva who founded the Silva Method. Silva theorized that meditation, in addition to stress relief, could also be used for enhancing creativity and developing intuition. Predominantly, studies of meditation report positive effects. However, some studies report that meditation may have adverse effects in certain circumstances (Lukoff, Lu & Turner, 1998; Perez-De-Albeniz & Holmes, 2000). If practiced improperly or too intensely, meditation can lead to considerable psychological and physiological problems, such as the symptoms of Kundalini syndrome, Shamanic illness, Tumo or Qi-gong-related problems . Serious, and credible teachers of meditation usually warn their students about the possible pitfalls of a contemplative path. Another issue concerns the adaptation of eastern meditative concepts to a western culture, an adaptation that is often unfamiliar with the cultural matrix that the meditative concept originated from. Eastern concepts of meditation are often imported to a western setting within the popular context of new religious movements, or within the context of popular approaches to body and health. It is common for this popular context to be unfamiliar with the broad range of adverse affects that might occur during meditation, and to have limited tools for dealing with them when they do arise. Stories of unguided practitioners or inexpertly guided students developing chronic mental and physical health problems as a result of their attempts at meditation training are not uncommon. English speaking practitioners and teachers of Chinese Qigong and related disciplines notethat the practice of this contemplative exercise is sometimes accompanied by physical and psychological distress. The identification of this syndrome has led to the inclusion of a culture-sensitive category in the DSM-IV called Qi-Gong Psychotic Reaction (American Psychiatric Association, 1994: Appendix 1). Since the practice of meditation may include a powerful confrontation with existential questions, it is not considered wise to engage in intense meditation techniques without an extended period of psychological preparation, preferably in contact with a credible teacher or clinician. In the case of Asian contemplative traditions there often exist major challenges connected to the way the particular tradition is to be applied to a Western culture, or a Western mindset. 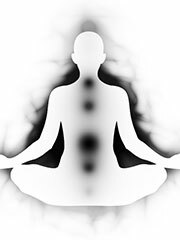 A growing body of clinical literature is now starting to address the phenomenon of meditation-related problems (Lukoff, Lu & Turner, 1998; Perez-De-Albeniz & Holmes, 2000). Several side-effects have been reported, including uncomfortable kinaesthetic sensations, mild dissociation and psychosis-like symptoms (Craven, 1989). From a clinical study of twenty-seven long term meditators, Shapiro (1992) reported such adverse effects as depression, relaxation-induced anxiety and panic, paradoxical increases in tension, impaired reality testing, confusion, disorientation and feeling ‘spaced out’. The possibility that meditation might trigger strong emotional reactions is also reported by Kutz, Borysenko & Benson (1985). Therefore, mediation might cause serious side- effects, even among long-term practitioners, and might even, is some instances, be contraindicated (Perez-De-Albeniz & Holmes, 2000). The tendency of meditation to disturb object-relations and release unconscious material implies that the beginning meditator should approach the practice with moderation. It usually takes years of dedication to become stable in a contemplative practice, a perspective that is often overlooked by many new religious movements and New Age therapies. Meditative traditions which include the use of drugs are generally considered to be harmful to the practitioner. Additionally, as with any practice, meditation may also be used to avoid facing ongoing problems or emerging crises in the meditator’s life. In such situations, it may be helpful to apply mindful attitudes acquired in meditation while actively engaging with current problems (see Hayes et al, 1999, chap. 3; Metzner, 2005). Some modern methods of meditation do not include the use of drugs due to the known health problems associated with drug use. However, the use of stimulants has been proposed by some as a means to provide insight, and in some shamanistic traditions they are used as agents of ritual. Some Native American traditions for instance emphasized the smoking of a pipe containing tobacco or other plants. Some Hindu traditions use bhang, East Asian traditions use tea and Middle Eastern (and many Western) religions use coffee as an aid to meditation. During the 1960s, eastern meditation traditions and LSD became popular among many people, and many people suggested that LSD use and meditation were both means to the same spiritual/existential end. However, many people who had already been familiar with eastern traditions rejected this idea, including many who had tried LSD themselves. In The Master Game, de Ropp said that the door to full consciousness could be glimpsed through with the aid of substances, yet to pass beyond the door required yoga and meditation.